Game Preserve | Westford Sportsmen's Club, Inc. The Game Preserve at the Westford Sportsman’s Club is open to all active club members and their guests. Guests are to be accompanied by a club member at all times. Hunting is allowed from September 15th until March 31st. The preserve will be closed during Massachusetts deer season which runs from November 30th to December 31st. All Massachusetts hunting regulations apply, except that stocked birds may be hunted on Sundays AFTER 1:00 PM. A minimum of a hunter orange cap must be worn while hunting on the property. All persons hunting on club property must have a current Massachusetts hunting or sporting license. It is recommended that hunters use dogs to pursue any released birds. No abuse of animals will be tolerated and the violator will be dealt with accordingly. 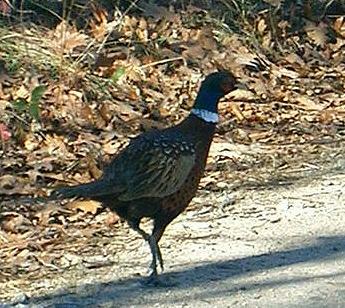 Game birds may be ordered through the WSC Game Management Chairman. Last minute requests will not be accepted. Any birds not acquired through the Chairman must be purchased from a Massachusetts breeder that is fully NPIP (National Poultry Improvement Program) certified and tested. In order to support state game preserve license reporting, any game bird purchase receipts and harvest reports must be promptly given to the Chairman. Birds not obtained in Massachusetts are not to be released on club grounds. All harvested birds must have a tag attached to the leg prior to removal from the property. These tags are available in an envelope on the club house bulletin board. A daily report must be filled out and submitted to the Chairman along with a purchase receipt for birds not provided by the Game Preserve Committee. Birds previously released and not harvested are available to club members. After a successful hunt, members taking such bird(s) are requested to make a $10.00 donation per bird to the club scholarship fund. Enjoy your hunt and remember, “shoot straight and don’t shoot the dog”.